Twenty-one (21) three-car diesel hydraulic multiple units of class 166 (commonly known as 'Network Express Turbo' units) were built at ABB York (formerly BREL York) in 1992/93. 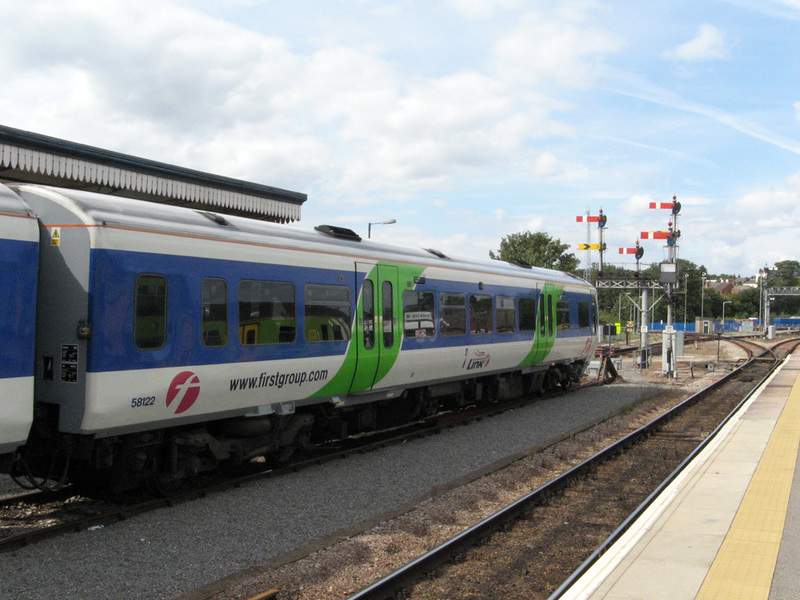 The units were base at Reading depot for use on services from London Paddington to Oxford and Newbury. The person in this photograph is the First Great Western guard who is waiting for right time before re-joining car No.58112 from Class 166 unit No.166212 at the start of the 14:51 service from Great Malvern to Weymouth. Photographed by Andrew Smith on 6th January 2011. Car No.58122 from class 166 diesel multiple unit No.166201 stabled in the centre road at Worcester Shrub Hill on 22nd August 2006. Photograph by Andrew Smith. 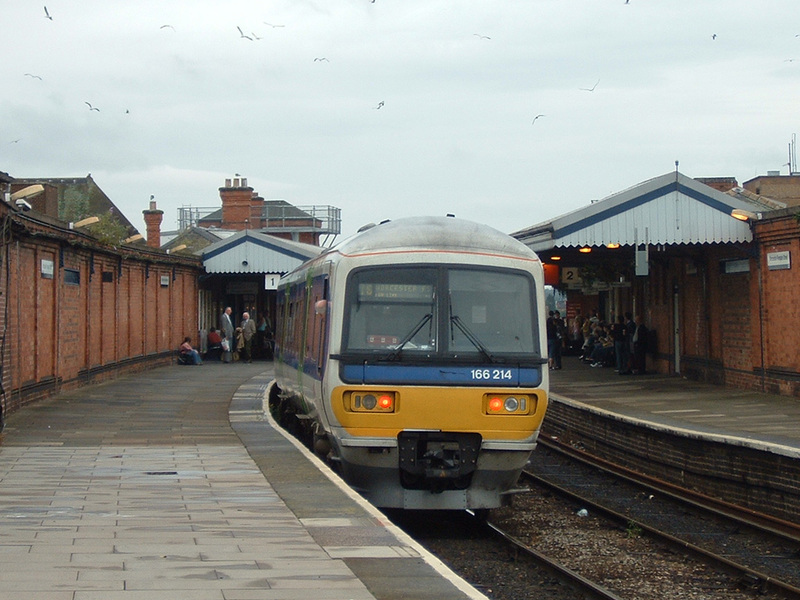 Class 166 diesel multiple unit No.166214 at Worcester Foregate Street Station on 16th July 2004. The unit had arrived on a service from London Paddington and would shortly go forward to a siding at Henwick before returning to London. Photograph by Andrew Smith. On 17th April 2011 class 166 three-car diesel multiple unit No.166201 had charge of the 18:29 Saturdays only First Great Western service from Great Malvern to London Paddington. 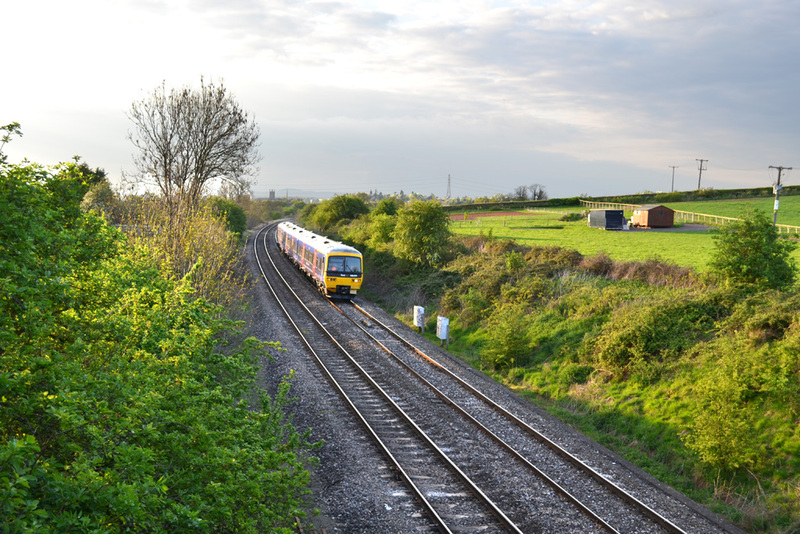 Andrew Smith photographed this train on the short section of track between Worcester Shrub Hill and Norton. Just visible above the third carriage is the tower of Worcester Cathedral. 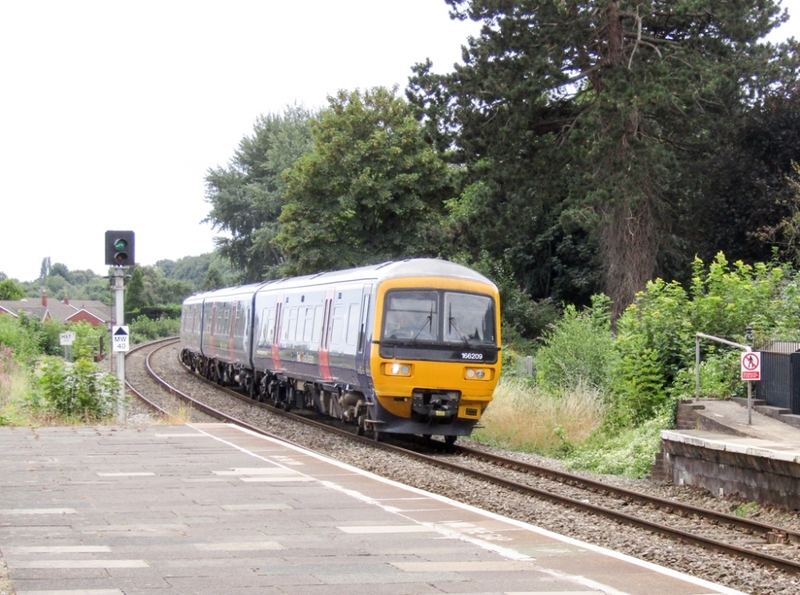 The first two weeks of August 2016 saw considerable disruption to train services between Worcester and London with the line being closed for flood prevention work at Hinksey, near Oxford. 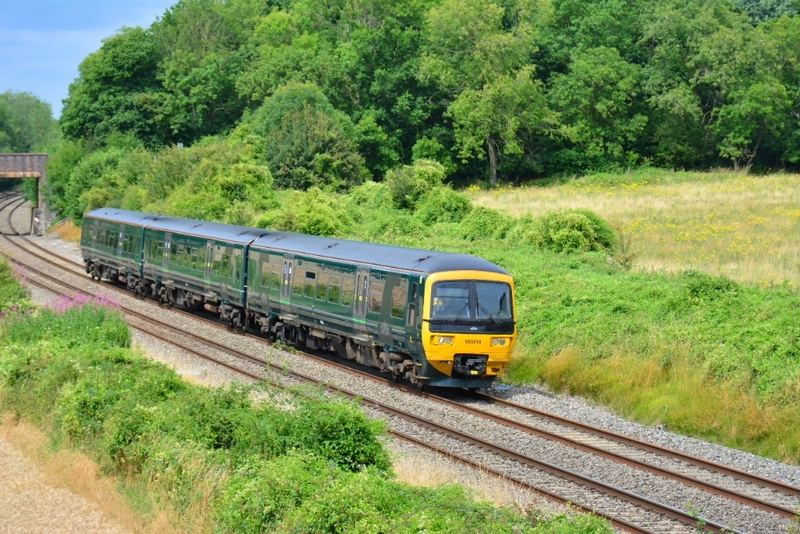 Apart from a few peak hour trains via Cheltenham the remainder of the services were replaced by three-car class 166 diesel multiple units which operated a roughly hourly service from Worcester Foregate Street to Hanborough or Oxford. For any of these units needing to return to Reading the only means to reach the depot was by routing the empty stock via Cheltenham and Swindon. Steve Widdowson photographed one such train passing Besford, Croome on Wedenesday 10th August 2016 with No.166218. 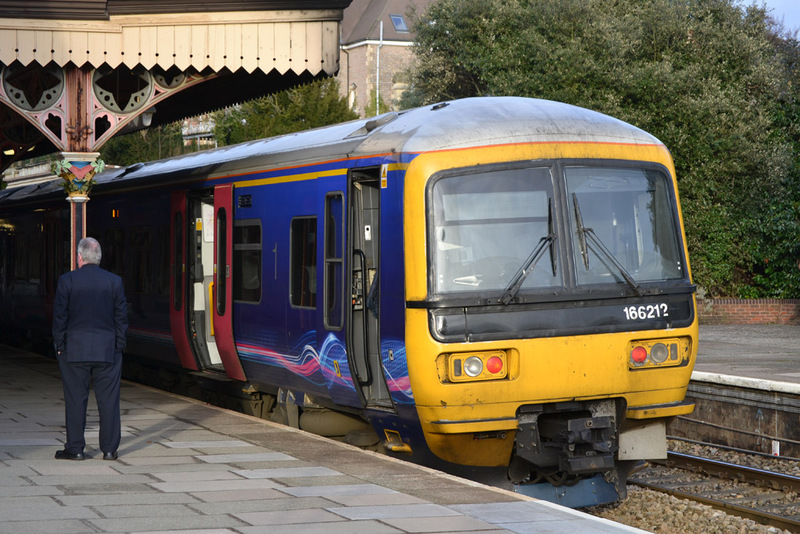 One of the last of the services operating as far as Oxford saw three-car class 166 diesel multiple unit No.166209 work the 14.35 from Hereford to Oxford (train code No.2Z63). It was photographed by Andrew Smith at Great Malvern on Sunday 14th August 2016.